Recently we have published an article on Myth and thoughts about project management. Today, after a couple of independent exchanges on Facebook, we are writing this post with an emphasis on myths about PMI (The Project Management Institute) and PM training. Some of the Myths we list here could be repeat from the previous article. These are based on our experience with PMI for close to 20 years. Some rules could have changed but what we list below we believe is still the case. You have to take a course with a PMI Registered Education Provider (REP) in order for PMI to accept the course contact hours or PDU (Professional Development Units). This is NOT correct … you can take a project management course anywhere – and from anyone and it counts; as long as the course is legitimate. For a PMP class, the instructor must be PMP. This is true only if the instructor work for a Registered Education Provider (R.E.P.). However, if the company offering the course is not R.E.P., the instructor is not required to be a PMP (Project Management Professional). PMI endorses or approves the courses of the R.E.P. PMI does not endorse any course – even from R.E.P. In regard to approval, not necessarily. PMI technically does not approve courses; directly. One of the condition to obtain the R.E.P. is to provide PMI with one course – complete materials. The R.E.P. reviewer that review this course is not necessarily focusing if the course is good or not – they mostly focus on copyright and you are not violating the copyrights of PMI. All other courses by the R.E.P. do not have to be submitted to PMI; unless the R.E.P. choose to … so it is optional and not a requirement. If the R.E.P. wants to issue PDU against the course – they submitted to PMI. The main condition in this case is to have a PMP say the course aligns to PMI or it does not …….. NOT THE COURSE IS GOOD OR BAD. In all cases, this PMP can be your friend or neighbor. If you take a PM or a PMP course with a non-REP PMI will reject it. Not true; refer to Myth 1. As long as the course is valid, PMI has no right to reject the course. NOT true, PMI does not accredit instructors and many of those teaching project management courses DO NOT have their CVs submitted to PMI. Many providers use Freelancers with no proven record neither as project managers nor as trainers. We wish! Many organizations can submit to PMI papers and one course, that they could have gotten from a Freelancers and they can still get the REP approvals. Then these companies use Freelancers, some of them probably never managed a project but PMI does not know nor they require the CVs of all instructors of an REP. If the company is not REP then it is not qualified. NOT True. Let us take this personal example – I have been in project management for 30 years, teaching and leading workshops for 12 years and REP for 11. If we decide to drop our REP (which we will when it expires) then do we stop being qualified? Technically that is not correct since there is no such thing as a global standard and only about 50 pages of the 600+ pages of the guide is an ANSI standard. Unfortunately many PMPs have never managed a project. 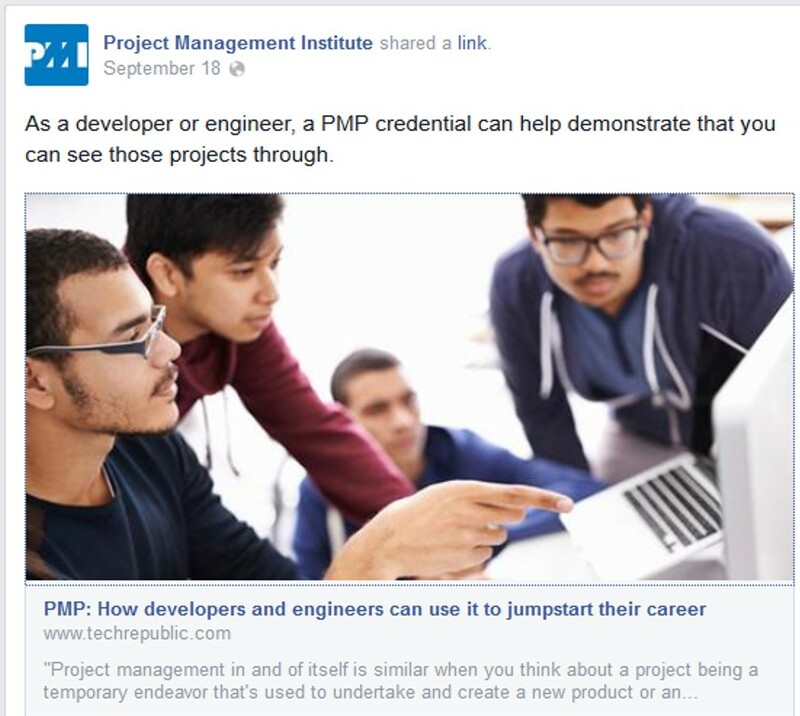 Just to make this point, only a few days ago PMI had a post on social media advertising the PMP for designers and developers encouraging them to get their PMP to start their career in project management. Unfortunately, we now of many organizations who are excellent providers and they are not REP and many REP who know much about project management. Further, on the first bullet – PMI does not own project management so anyone can deliver workshops on project management. Whether these people and organizations are qualified is a different story – but having the PMI stamp is not a validation of quality provider. Will rest for today and may be add more in the future! This entry was posted in Project Management, Project Management Certification, Project Management Training and tagged PDU, PM Training, PMBOK Guide, PMI, PMP, PMP Training, R.E.P., REP on 22 September 2014 by Mounir Ajam.